A 17-year-old suspect was arrested after he allegedly stole a bike and attempted a residential burglary in Palo Alto after asking residents if he could use their Wi-Fi network, police said Wednesday. Police responded to a 911 call from a couple in their 60s reporting that they woke up to find a stranger in their bedroom in their home in the 700 block of East Charleston Road at about 12:30 a.m. Sunday. Police said the couple was asleep in their room when the suspect, who had his face covered, woke them up and asked to use their Internet. The male victim told police that he shoved the suspect out of their house and no one was injured. Surveillance footage showed the suspect entering the home after cutting a screen on an open window. The victims reported that two knives were missing from their kitchen drawer, but police did not locate the knives or determine the suspect's motive for entering the home. Police detained the suspect a block away from the house shortly afterward, and he allegedly gave them a false name. 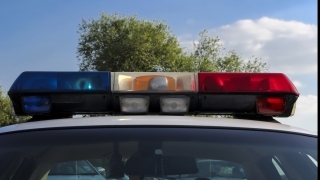 Officers said he was also allegedly connected to a bicycle theft Saturday night in the 3800 block of Middlefield Road. A resident in her 20s reported on Sunday afternoon that at about 11:45 p.m. the previous night, the suspect was outside of her bedroom window in the side yard and motioned that he wanted to talk to her. The woman and an adult in his late teens, another resident of the house, confronted the suspect in the side yard, according to police. The suspect asked to use their Internet because he was out of mobile data. The residents told the suspect to leave and he rode away on a bicycle, according to police. The male resident realized the next day that his bike had been stolen, and police said surveillance footage showed the suspect taking the bike before speaking to the woman. Police later found the bike near the area where they had detained the suspect. The boy was arrested on suspicion of felony residential burglary, prowling and providing false information to an officer and was taken to Santa Clara County Juvenile Hall.